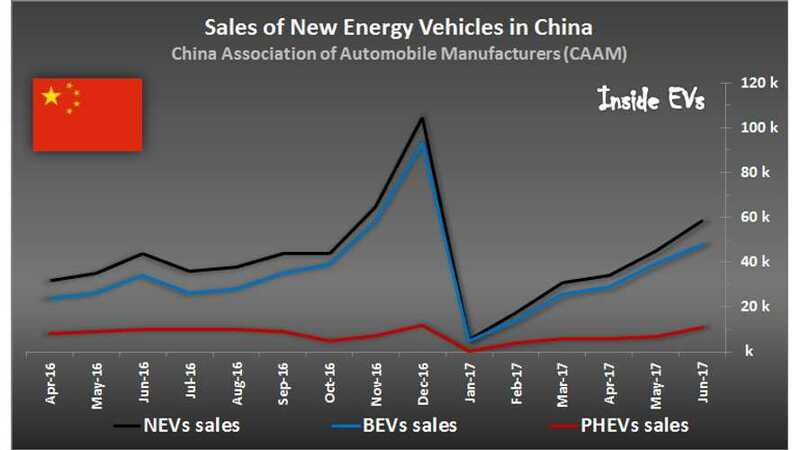 Sales of plug-in vehicles (aka New Energy Vehicles regionally) in China have continued to rebound, and are now on track for new records to be set later this year. 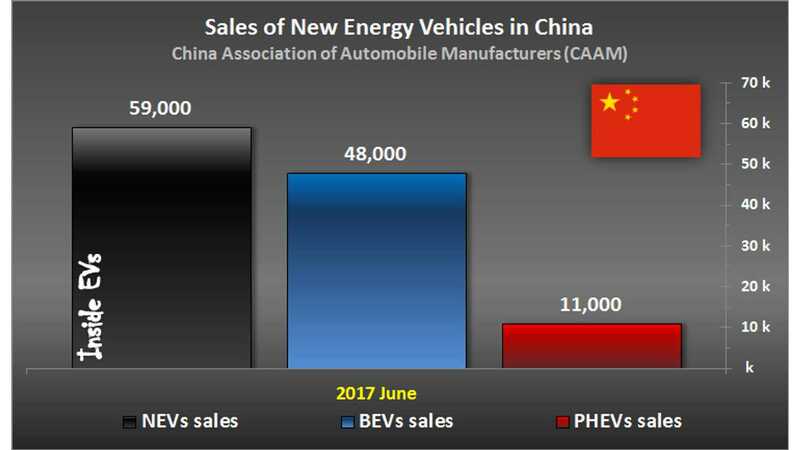 According to the China Association of Automobile Manufacturers, in June sales amounted 59,000 (up 33.0% year-over-year), while production hit 65,000 (up 43.4% year-over-year). Overall market share, compared to the overall 2,172,000 sales (passenger and commercial vehicles) stood at 2.7%! 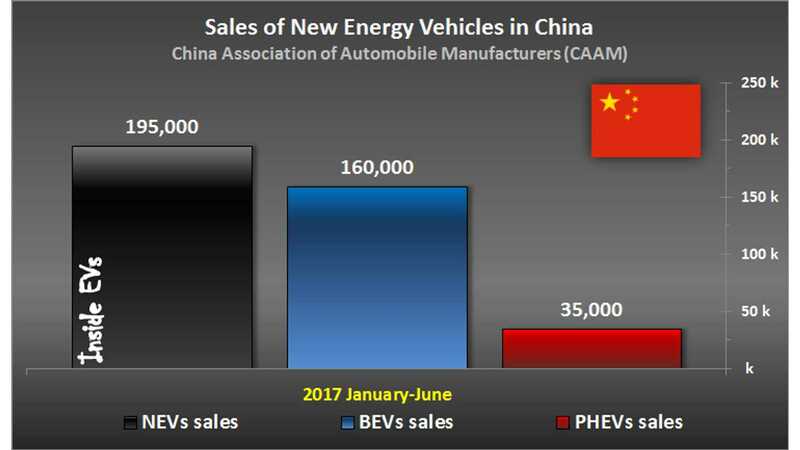 "To be specific, the production and sales of BEV reached 54 thousand units and 48 thousand units, increasing 52.9% and 41.4% year on year; and such figures for PHEV were both 11 thousand units, increasing 10.1% and 5.3% year on year." Overall market share after six months compared to 13,354,000 vehicles sold (passenger and commercial vehicles) is 1.5%. "To be specific, the production and sales of BEV reached 175 thousand units and 160 thousand units, increasing 30.4% and 26.2% year on year; and such figures for PHEV were 37 thousand units and 35 thousand units, decreasing 14.4% and 19.7% year on year."